OK Virtual Instruments, you've made a thing. Must you fill our ears with PR gobbledegook? Virtual Instruments has launched an "entity-centric solution" amid an unparalleled display of marketing verbiage. The product is called VirtualWisdom, version 4.0. It's basically a network fabric sniffer with analysis smarts to help get networks working better. Originally it did Fibre Channel and then FCoE, but is branching out into Ethernet and calls itself an Infrastructure Performance Management (IPM) company for physical, virtual and cloud computing environments. 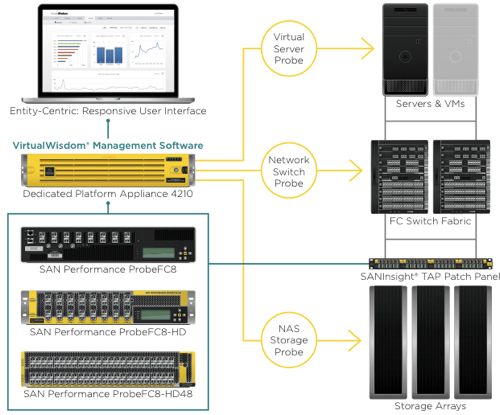 VirtualWisdom v4.0 has "a breadth and depth of metrics never before available" and a new Element View "taking intelligence beyond the IT with thousands of system-wide metrics", according to the PR flannel. "Beyond the IT" and an "entity-centric solution" indeed. Who writes this stuff? VW 4.0 (our acronym) can now run NAS monitoring on Ethernet using a new probe called ProbeNTAP. We misread that at first and thought it was ProbeONTAP. We weren't that wrong - this "software-based storage probe leverages agentless APIs to capture and present health and utilisation statistics for NetApp storage arrays." We'd guess other filer suppliers' products will be supported in the future. "Underpinned by an analytics-focused database,” continues the VW release, “the new platform ingests millions of metrics per second and presents data significantly faster than before, making this the most powerful performance platform available on the market." There is real-time visualisation of these through the GUI. 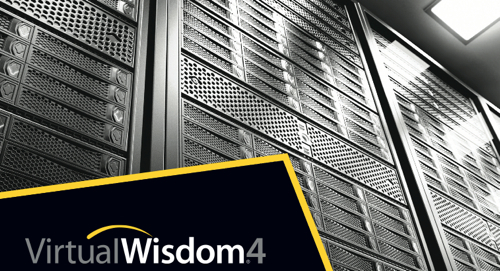 The information it presents is useful to application, server and storage teams - according to VirtualWisdom, that is.